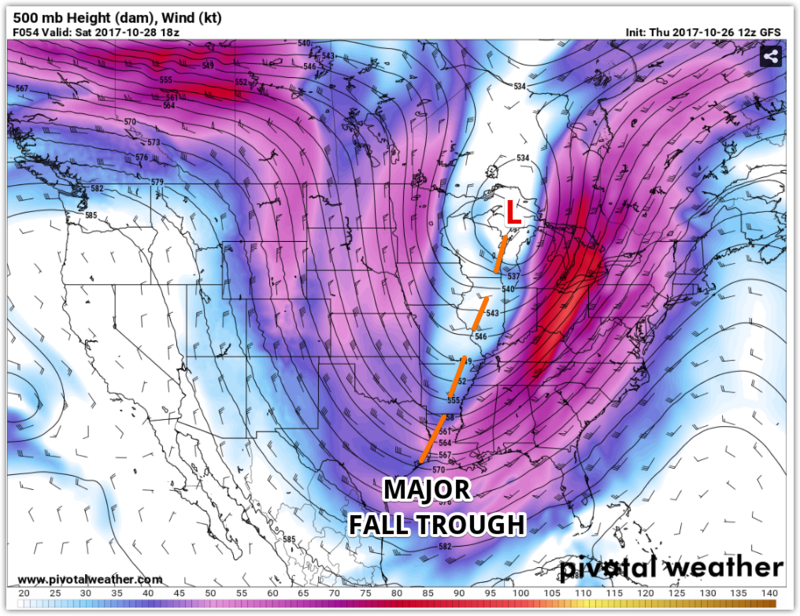 MWN Blog: Fall cold blast on our doorstep! Those who are seriously ready for some "real fall" weather - with fire pits and crisp mornings - will like what we have in store. Those hoping for a few more warm days, enjoy today and stop reading. :-) The autumn weather roller coaster rolls on, but the valleys and peaks get a little lower after today! Enjoy the upper half of the 70s this afternoon as I don't see anything close to that for at least the next week. Tomorrow starts mild as you wake up to temperatures near 60 degrees, a mild south breeze, and increasing clouds. But by mid-morning, a potent cold front sweeps through the region. A few showers are expected along the front, but most precipitation will occur behind the front. 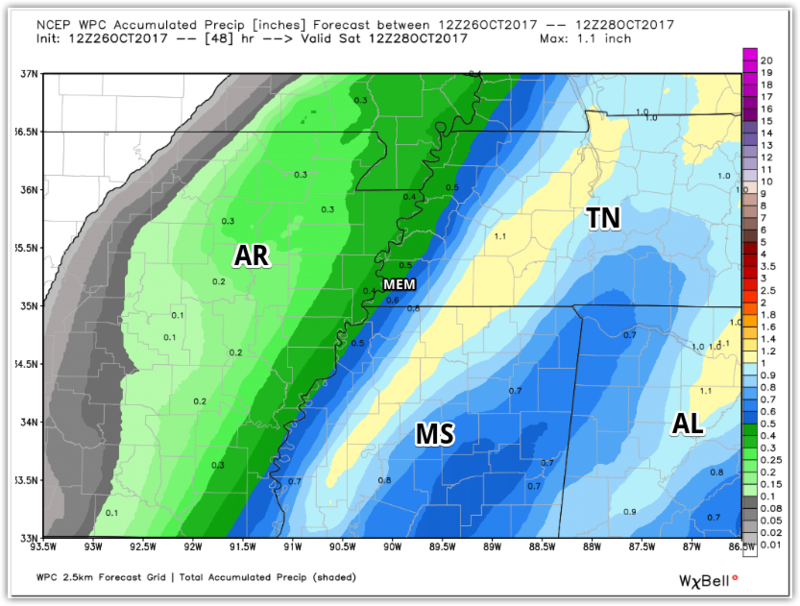 In addition to rain during the day tomorrow, the wind shifts to the north and shoves MUCH cooler air over the Mid-South. 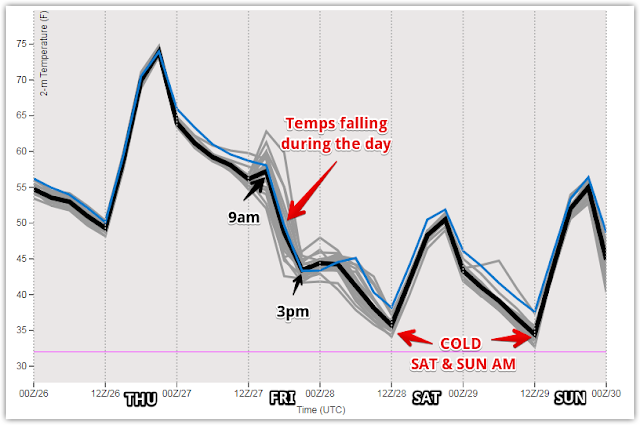 Our high temperature (near 60°) occurs before the front arrives in the morning, then temperatures fall during the day, initially to around 50° by lunchtime and then into the upper half of the 40s during the afternoon. Yes, it'll be a good 15 degrees colder when the kids leave school in the afternoon than when they go in the morning! Plan accordingly. A brisk wind will make it feel colder. Welcome to fall. Lots of questions/concerns out there about Friday evening as many of us have fall/Halloween activities that are affected by what's going on outdoors, including football at multiple levels. At this point, it looks like scattered cold showers will hang on into the early evening, but probably not as steady as the afternoon hours. After 8pm or so, the showers should taper off, as temperatures continue to slowly fall towards 40°. Overall, just a raw, damp evening unfortunately! Total rainfall from this system looks to be in the neighborhood of 1/2". The front and its rain will be gone by Saturday morning and it appears the sun will return. A few afternoon clouds are expected, wrapping around low pressure to our north, but it will be dry. It'll also be our coolest day since mid-March as high temperatures only reach the mid 50s, despite sunshine. 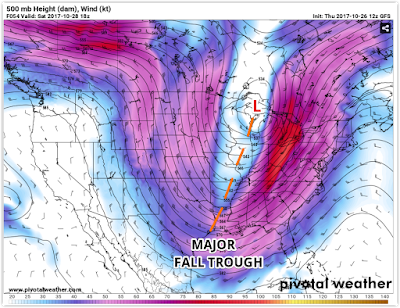 You can thank (sarcastically, if you want) a large trough over the Mississippi Valley that pushed the Friday front through. Another chilly day is on tap. In fact, Sunday morning will be the coldest sunrise of the forecast period. Mid 30s temperatures and frost will be widespread, even within the Bluff City limits. Outlying areas could see a freeze. Plan ahead to protect any outdoor vegetation that you don't want cold damage done to. Highs again remain in the 50s. Maybe this airmass will finally start changing the color of the leaves! 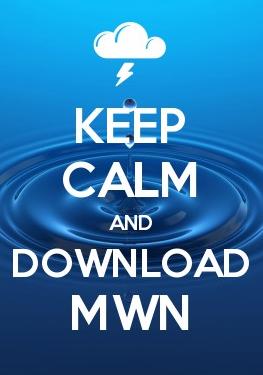 Be sure you have the MWN app for daily forecast updates (things can change fairly quickly around here this time of year! ), current StormView Radar imagery, and more great MWN content, including our frequently-updated social media feeds. All the links you need are below!